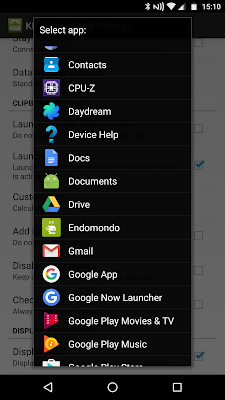 It is now possible to choose which app will be launched when "Type from clipboard" action is selected. Previously only Google Authenticator app was supported. 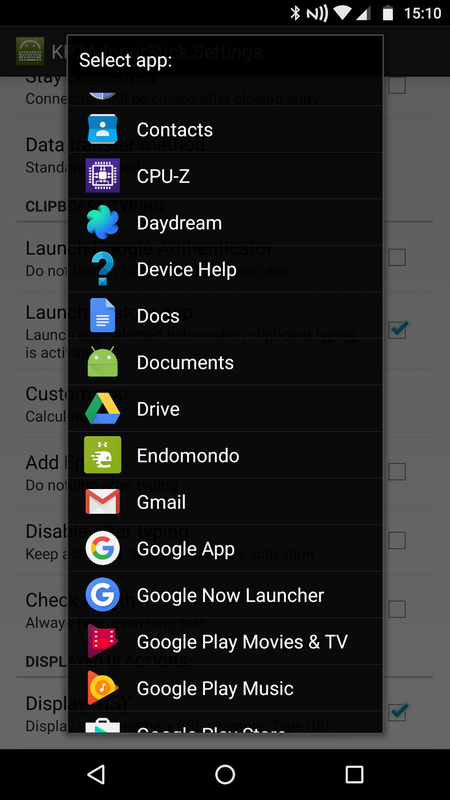 Check "Launch custom app" checkbox and click "Custom app" button to select app to launch. Select one of installed apps. 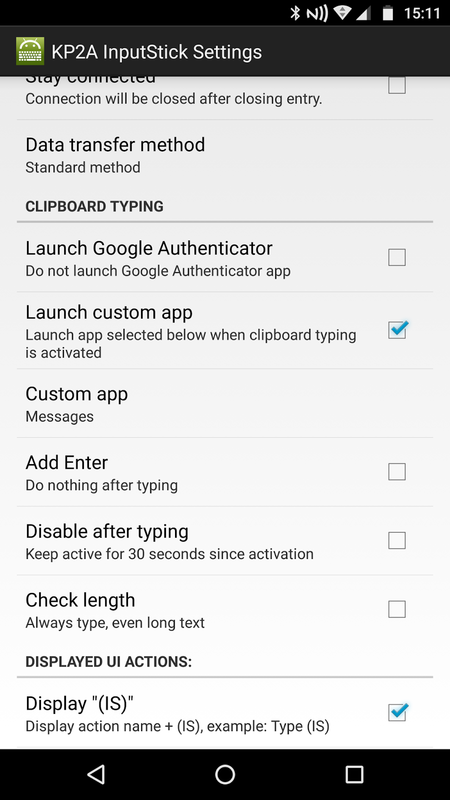 Select "Clipboard/Messages" to activate typing from clipboard and launch "Messages" app. 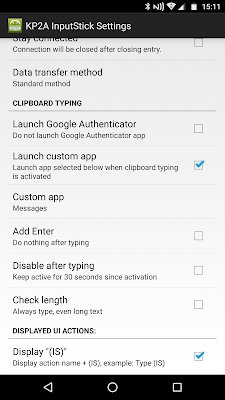 When "Clipboard/Messages" is selected, typing from clipboard will be activated and Messages app will be launched. 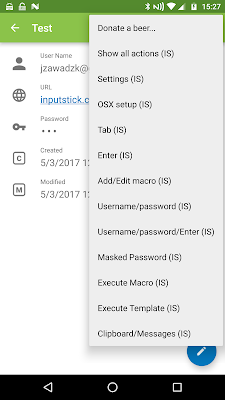 If you are about to receive SMS with authentication code, select the code and copy it to clipboard: it will be automatically typed using InputStick. 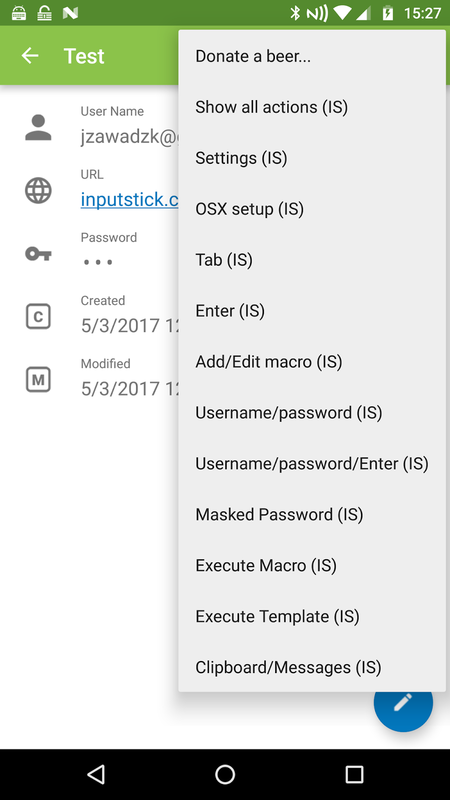 In next update it should be possible to assign custom app for each entry.